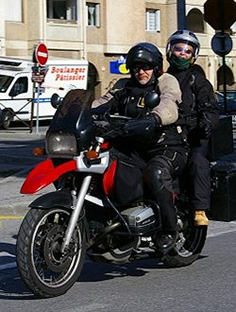 Right To Ride waits for the European Union (EU) Commission to publish its draft legislation for a new Framework Directive which will possibly see motorcyclists restricted from modifying their bikes and restrictions to 100 bhp as well as imposing mandatory ABS brakes on EU manufacturers. While we wait to see exactly what new rules and regulations the EU Commission want to impose on motorcycling, unsafe, unregulated and pollutant motorcycle imports from China continue to flood the EU markets that have passed Type Approval and are flouting present regulations. In the 1979 award-winning thriller, The China Syndrome, a reporter and cameraman discovered safety violations at a nuclear power plant. 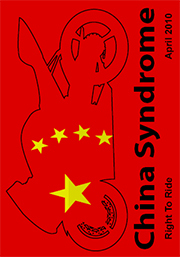 The term “China Syndrome” meant that if the nuclear reactor plant experienced a meltdown, the core will melt through the earth until it reached China. Will the quality of imports from China lead to a melt down in reverse as motorcycles from China flood into Europe? The number of imported motorcycles and scooters from the China has reached significant volumes, far above 300,000 units since 2007and representing a market share in the range of 15%. 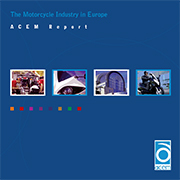 The Motorcycle Industry in Europe (ACEM) has reported that over a period of several years motorcycles, scooters and mopeds imported from manufacturers based in China have serious issues regarding safety (brakes stopping longer than is permitted), sound levels (by 5 decibels), emissions (exceeded the limit by 150%) failing to comply with EU Type Approval. RAPEX (the EU’s Rapid Alert System for non-food consumer products) reported that in one case scooters imported from China are unsafe and that the scooters posed a risk of electric shock and explosion and fire. The problem is not only confined to Europe, in the US, Chinese imports are creating enormous headaches for the authorities there. It is ironic that on the one hand, the EU Commission is considering anti-tampering measures to “guarantee that after a modification to the type approved vehicle by the end-user the type approval emission limits continue to be respected for the remaining vehicle life after the repair / modification”. Yet at the same time does not prohibit the flow of polluting and unsafe motorcycles and scooters to enter the EU market from China. 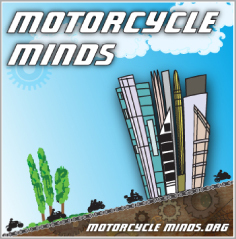 Perhaps it would be better for our EU civil servants to recognise that the modification of motorcycles using type approved parts is an important and profitable European industry, which does not need restricting through proposed anti-tampering legislation and that over prescriptive regulations should be avoided. Rather than destroying our motorcycle aftermarket industry and way of life with unnecessary legislation, our civil servants would do far more for Europe by halting shoddy non-compliant products arriving on our shores from China.